Two weeks ago I visited Fraser Island with a girlfriend from Sydney and it was just magical! We booked a two day / one night tour with Sunrover Tours as the island can only be accessed by four-wheel drive (4WD). The day started with a 6.45am pick up by our guide and driver Alex outside Roma Street Station in Brisbane and with a couple of stops along the way we arrived at Rainbow Beach around 10.15am. We had 45-minutes to wander around the beach while we waited for other passengers and didn’t quite see the rainbow sand but enjoyed dipping our feet in the water. Shortly after leaving Rainbow Beach we were on a sandy road which took us to the edge of Inskip Point sand road. Here we drove straight onto a barge transporting us across to Fraser Island in 10 minutes. Once we were on Fraser Island we hit 75 Mile Beach which is the main road and has road rules at certain parts. It was here I realised Alex was a 4WD speedster (loved and always felt 100% safe) passing several cars on our journey. We stopped into Dilli Village where we were camping for the night for lunch and to unpack. The tour included lunch and dinner on the first day and breakfast on the second day. For lunch we had ham and salad rolls, fruit and snack bars. After lunch we drove half way up 75 Mile Beach to see SS Maheno wreck, which washed up on Fraser Island in 1935. The ship had six levels but only two of the levels are above ground. Next up was Eli Creek, a fresh water creek pumping water into the ocean. You follow the boardwalk around to a staircase down to the creek where you can walk or float (best with pool toys) back down to the beach. We also spotted a dingo while we were there. Our last stop of the day was inland where we drove to the Lake Wabby bushwalk track. 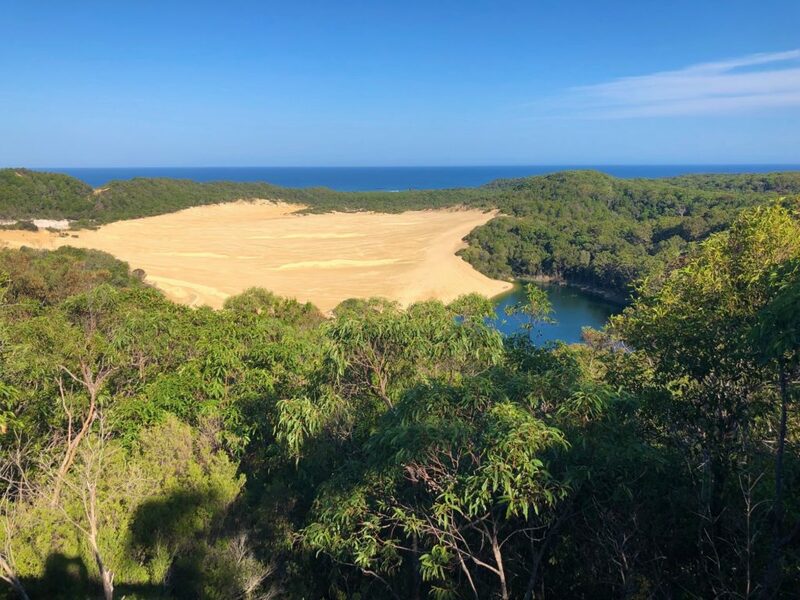 We took a short walk through to a look out point over Lake Wabby and then continued a further 1.5km to the sand dunes running into Lake Wabby. The sand is slowly taking over the lake, which is sad as it’s a beautiful piece of nature. We enjoyed a good swim and stayed in as long as possible to avoid the March flies which were harassing us outside of the water. The small fish in the lake nibble at your feet if you stand still for long enough – similar to the dead skin eating fish experiences you get in Asia. We took the beach track back to the car which was a 45-minute walk and arrived back at 75 Mile Beach as the sun was setting behind the dunes. We headed back to Dilli Village and set up camp for the night. The tour included tents, mattresses and sleeping bags and the tents were already set up so there was very little we had to do. I was very impressed with the toilet and shower facilities – they were similar style to the showers in a gym – very luxe camping indeed. 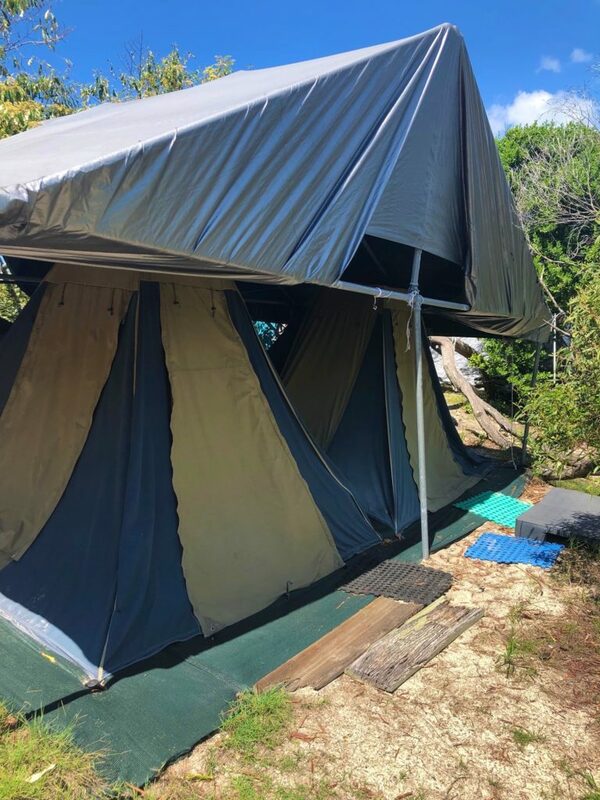 We had the option to book cabin and hotel style accommodation for this tour but I decided to camp as that’s how the Brisbane locals do it and I need to get out of my comfort zone – so I am glad we did. 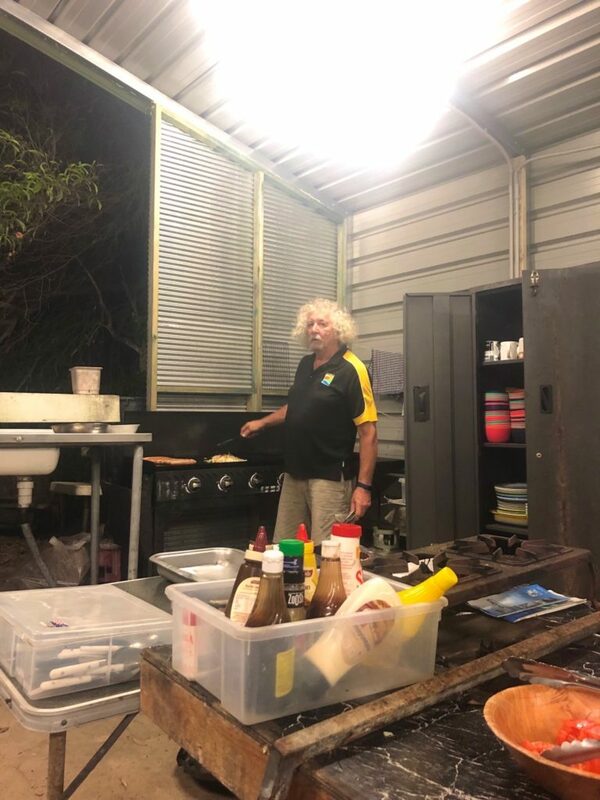 Alex cooked us a nice BBQ dinner and after dinner we went for a night walk to the beach to check out the super moon. I admit I didn’t have the best sleep that night but that’s to be expected. It’s been a while since I have camped. There wasn’t much of a breeze and we had to fight to keep the bugs out. Plus we heard dingoes howling in the middle of the night… scary! We woke up for sunrise – something I never do unless I am catching a flight. I don’t recall ever watching the sun rising over the ocean so it seemed like the perfect occasion whilst on Fraser Island when sleep wasn’t a priority. And it didn’t disappoint. After breakfast we cleaned up the tents, packed our bags and headed to Central Station, the historic centre of Fraser Island. It has an outdoor museum and Alex gave us a rundown on the island’s history and some of the local plant life. We took a walk through the rainforest alongside another freshwater creek, Wanggoolba Creek and soaked in all the sub-tropics back to the car. The best was saved for last – Lake McKenzie. We got to spend a couple of hours here soaking up the true beauty of this pure lake and its white silica sand. It honestly felt like we were in the Maldives. The water was so clear and still! We swam, wandered to other sand banks and took lots of photos of course. The water and sand were so pure! 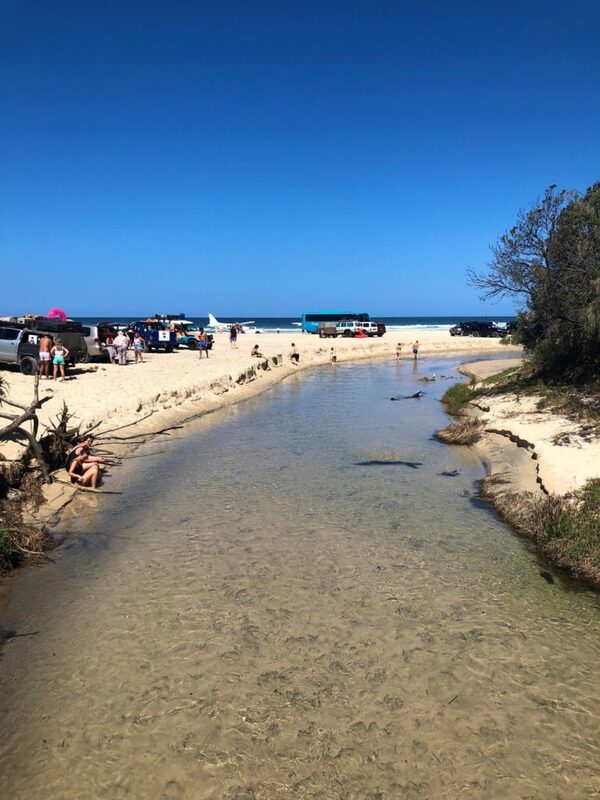 It was then time to load back into our 4WD and head back down the island to the barge to get on our way to Rainbow Beach where we stopped for lunch. My friend and I got dropped off in Noosa for the weekend but the tour continued on to Brisbane. 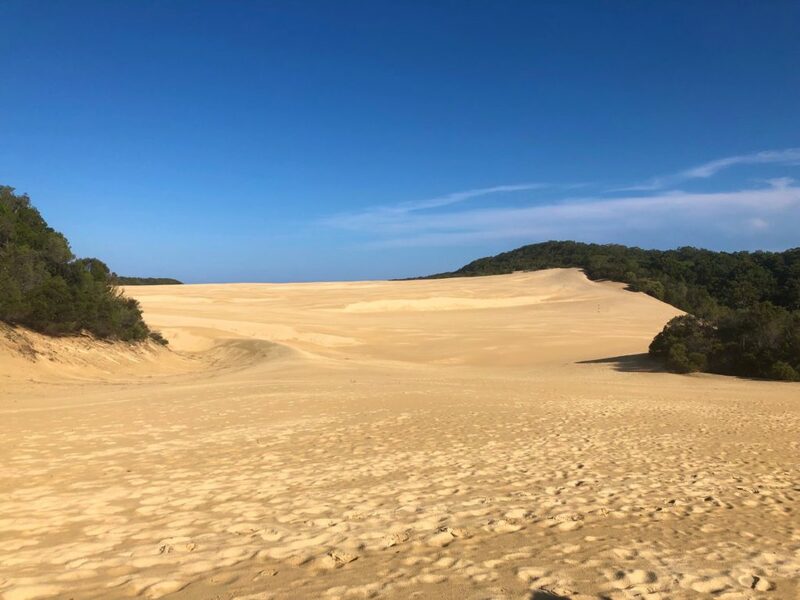 Fraser Island was one of the attractions most of my Brisbane colleagues recommended visiting and I’m so glad I did. The natural beauty of the lakes, creeks and landscapes were just magic. We were so blessed with amazing weather too – blue skies and sunshine for both days! 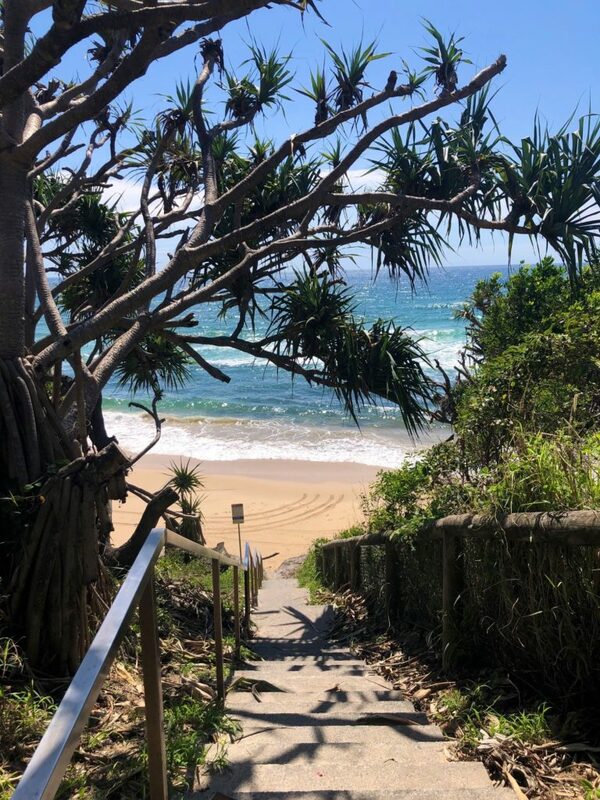 Next week I will share about our weekend in Noosa.